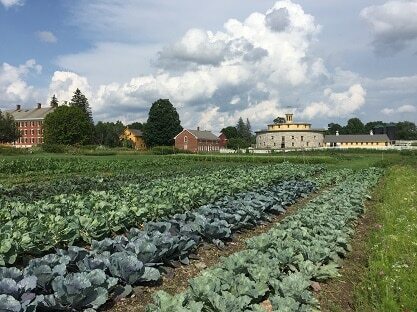 Come to a dinner of culinary revelry as we team up with Enlightenment (Brooklyn’s first meadery) to present an extraordinary menu of organic vegetables and meats from our farm (the oldest working farm in The Berkshires with a variety of mead. Enlightenment Wines Meadery in Bushwick (lauded from GQ to The New Yorker) focuses on small batch mead spontaneously fermented from regional honey, foraged herbs, and local fruit. Hancock Shaker Village celebrates the architecture, history, farming, food, and culture of the Shakers, and the bold utopian vision that caused a woman in 1774 to emigrate to New York with a small band of followers to shake it up. Cocktails include cool herbal mixology. Come prepared to shake, stir, and get enlightenment. Seats at the table are limited.